Want happier employees? Want your people to manage stress and communicate better? Want to inspire bravery and courage among your team? I love working with companies, organizations, and teams of all sizes, helping you make the most out of your efforts. If you want your people to be better, happier, and more productive, we’ve got to teach them how! From small, personalized workshops to large keynote presentations, in front of group is where I shine best. 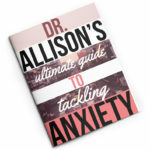 Dr. Allison has a keen ability to connect with her audience by using personal stories, cutting-edge research, and experiential activities. She is deeply committed to helping people achieve their full potential in life. Dr. Allison is a passionate, humorous, enthusiastic, and engaging speaker who captivates audiences with her dynamic presentation style. When she left, every member of our staff agreed…we want her to be our best friend! I was blown away by her engaging and energetic presentation style, including her vast expertise regarding positive psychology and utilizing strength-based approaches to enhance human functioning. My students and staff are still taking about her presentation! I’m definitely going to invite her back. Click here for a few of the most popular presentations and workshops I’ve led in the past.